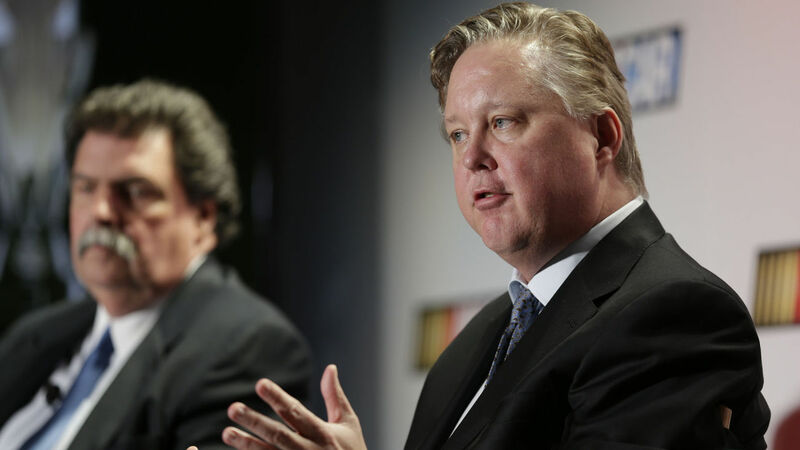 Brian France makes the list of most influential in the world of sports. His spot was down from last year’s placement on the sports list. The sports most influential list is created by Sports Business Daily. The list is released once per year. Despite a vast majority of NASCAR fans being disappointed with the NASCAR CEO, he’s still ranked one of the most influential in sports. Last year Brian France made the top 10, in 10th. He was placed high on the list for creating the elimination format of the NASCAR Season. Fans either love or hate the ‘Chase’. However, the talk of the Chase just shows it’s created excitement. This year the NASCAR Chairman and CEO was placed 13th on the list. Brian France was placed on the list for landing new TV deals with Fox and NBC. They also mentioned that NASCAR made strides on the social media side of the marketing program. 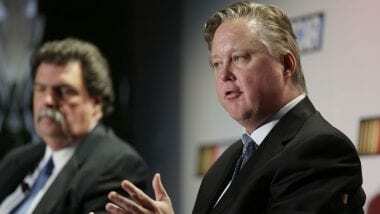 Brian France is under pressure lately to find a new title sponsor for the NASCAR Sprint Cup Series. The deal with Sprint is set to expire shortly. Bob Iger claimed the most influential at number 1. Igeris the Chairman and CEO of the Walt Disney Company. He claimed the top spot mainly for his role with ESPN. Beyond ESPN, Bob Iger is also the Chairman and CEO of the NFL Stadium project in California. He’s part of a very influential group trying to bring football back to California. At the same time he’s currently trying to attract the 2024 Olympics to Los Angeles. That all add’s up to a lot of sports business for a single year.